Relays are traditionally electro-mechanical devices used for switching electronic circuits. There now exists “sold-state relays”, which are purely electronic and contain no moving parts. Relays with built in timers. Rated Coil Voltage: The recommended voltage that should be applied to the coil to turn the relay on. Rated Coil Current: The current the relay coil will draw when the rated coil voltage is applied to it. Solid-state relays are relay’s that don’t have any moving mechanical parts involved in the switching. They use semi-conductor devices to perform the switching instead. The normal way of doing this is to perform the switching with back-to-back N-channel MOSFETs whose gates are activated by a isolating opto-coupler (LED and receiver). 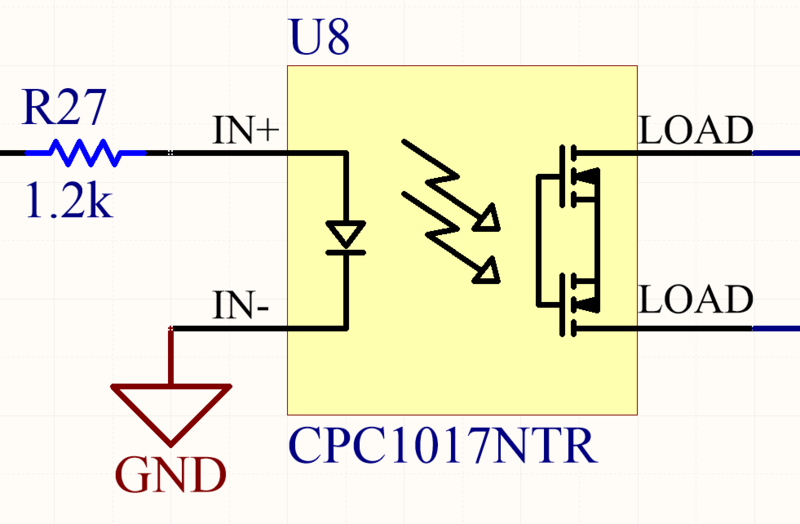 Below is the typical schematic symbol for a solid-state relay, along with a resistor connected to the input to limit the current through the internal LED. This is the typical schematic symbol for a solid-state relay, along with a resistor connected to the input to limit the current through the internal LED. The following diagram shows three of the most common contact arrangements for relays. Three of the most common contact arrangements for relays. Image from 'http://relays.te.com/pnb.asp'. Protect with diode in anti-parallel. This diode can keep the relay turned on for longer than expected, and this turn-off time is called the relay drop-out time. This slower off-time can decrease the life of the relay due to arcing. With a little bit of clever (in design, not in the components themselves) external componentry, a mechanical relay can be made to latch-on, and will only reset once the load has been disconnected. Most PCB-mount relays have an asymmetric lead configuration so that it cannot be installed incorrectly. The relay category page on DigiKey. TE’s relay product page.